The list of classifications and subclassifications of dogs associated with native shepherds of Turkey continues to grow. The Kangal Dog, Akbash Dog, Kars, and Turkish Mastiff, then the Malak, plus the Yoruk and the Anatolian Shepherd Dog are among current classifications of strains and/or (in some cases) breed divisions that have evolved via different sources in the past two decades from widely scattered native landraces of shepherds' dogs or coban kopekleri of Anatolia. 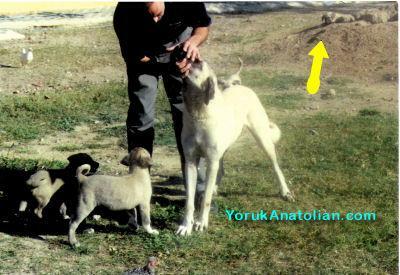 A Turkish-born researcher and traveler, Guvener Isik (website: http://yorukanatolian.com/) has published two new articles about the flock guardian dogs in Turkey. One is a recent interview with Turkish Kangal Dog enthusiast and published author, Dogan Kartay, touching on issues of FCI recognition of Turkish breeds. The second article is an exploration of the heavy boned, massive Malak which Kartay mentions during his interview and the possible influences of this dog on other subtypes all across Turkey. Isik has published the Malak article previously (in Turkish) but the article is timely so it has undergone an English translation. Isik has many other articles (much of it is in Turkish) and has used his own collection of photos taken at location in some of his work. It is wonderful that he has taken the time to try to bring more understanding of the dog situation in Turkey to both Turkish and international interests alike. See the articles linked below. Many thanks to both Isik and to Kartay for helping to bring more light to these subjects! I have been around these dogs and the necessary life style since my childhood. It is obvious that there several views about this subject without any tangible and rational arguments. Most of the information available is time and content wise based on very limited research and is repetitive. Visiting a few villages and flocks for a few days in a limited geographical area and drawing outcomes through the collected or available data would give one a limited portion of the whole picture. This approach in the past gave two basic results: One is considering the whole shepherd dog population of Turkey as one breed "Anatolian Shepherd Dog", the other one is creating new breeds like "Akbas" without looking the meaning of the word and the extent and the content of its usage. The above second international approach affected the Turkish public and consequently manipuated city Turks and Turkish Academicians to accept a new breed. To me this is a breed inflation not a discovery. The Kangal side of the confusion started in Turkey and affected some clubs in other countries. So far there is not any clear remark in Turkey that clarifies the qualities of Kangal Shepherd Dog. 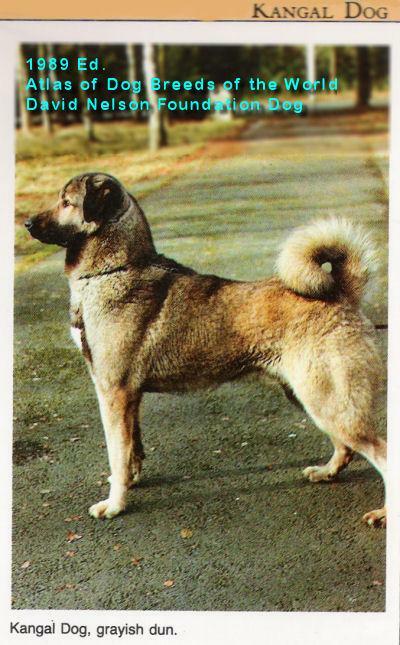 Is Kangal a dog from only Kangal region? Is any dog from that region a Kangal? We can say "Yes" to the first question. We should say "No" to the second one, because there is variation of types in that area. Then it must be a type of dog, which can be mostly found in that area in its best form. There is no consensus on the subject, because we are referring to different qualities by using the same word. Recently any fawn colour dog with a black mask goes as a Kangal, and the local strains are being negatively damaged by this attitude. I am actually concentrating on the Yoruk dogs. They are terribly ignored and even the name "stray" is used in order to elavate the importance of the major two famous strains. I am not intending to create a new breed but bring out whateverelse Anatolia offers. I am here to introduce them to you for them to be recognised. We are a group of people who are trying to locate and preserve the best specimens of these dogs all over Turkey. We definitely deliberate over the traditional methods during the process of our endeavour to perpetuate these dogs. What we feed, how we choose and test are all based on conventional practices. To me, in order to do a good job of learning about these dogs one needs sensitivity to traditions (both current and past trends); enthusiasm about genetics and actual pedigree research; population & locale studies including formative environment; patiently reading perspectives from different peer and enthusiasts groups -- and the list goes on with other materials. A multidimensional approach! Isik examining a Turkish dog. Puppies examining Isik. From Isik collection: a female Kangal with portion of her litter. For some, it is often 'safer' to just freeze a point in time with one's assumptions and speculations and to go no further toward the truth. 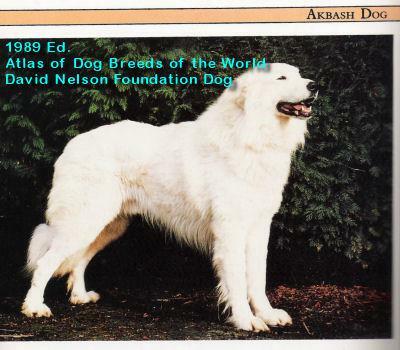 Foundation stock of Turkish breeds to from Kangal Dog, Akbash & Anatolian Shepherds -- and the produce from these dogs, even if acquired from the same areas (often they were not) were not consistent and homogenous, regardless of whether one sings for Akbash, Kangal Dog or ASD. If you recall, I spent five years growing up in Turkey and well remember the guardian dogs. One had to be careful when walking in rural areas, because they could be quite ferocious and vigilant about strangers approaching. I have long wanted an Anatolian, but city living just doesn't seem fair for a flock-guardian dog of proper temperament.